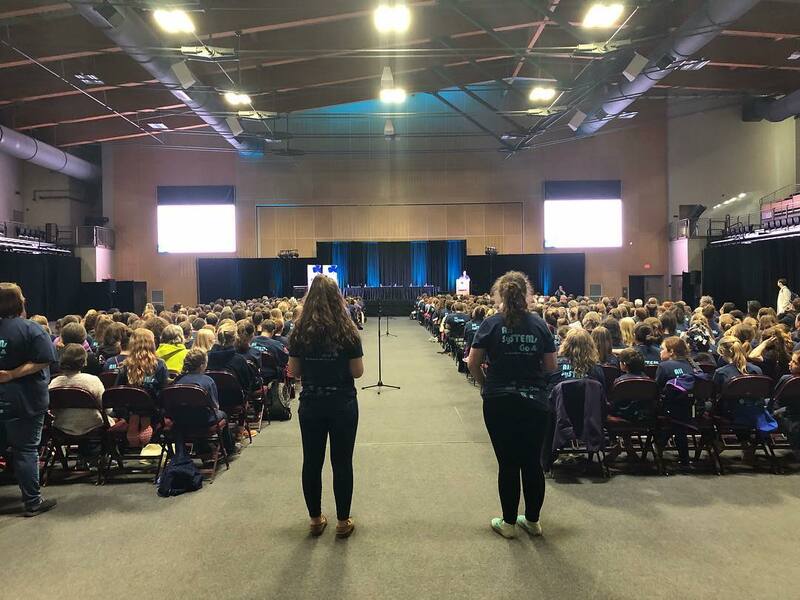 On May 12-13, 2018, AARMS hosted a camp for over 500 Girl Guides from New Brunswick and Prince Edward Island at the University of New Brunswick’s Fredericton campus. 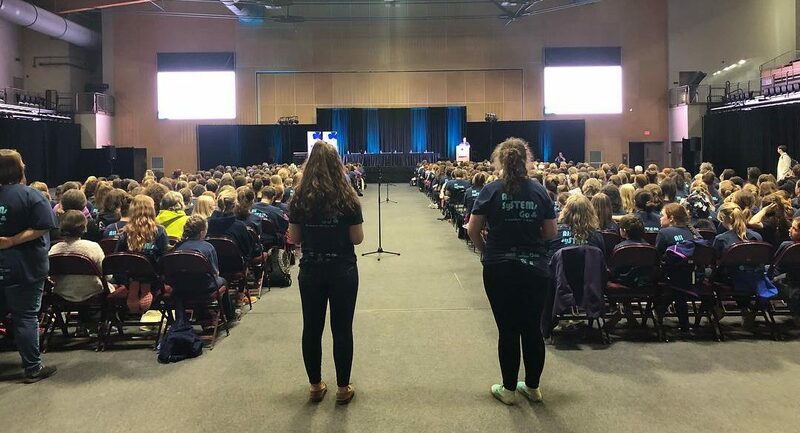 The goal of the camp was to expose girls aged 9-17 to the Mathematical Sciences research undertaken at Atlantic Canadian universities such as UNB, as well as to inspire them to consider pursuing careers in STEM (Science-Technology-Engineering-Mathematics). In addition to the the 500 Guides, Rangers and Pathfinders, around 150 adult volunteers from the Girl Guides of Canada participated. 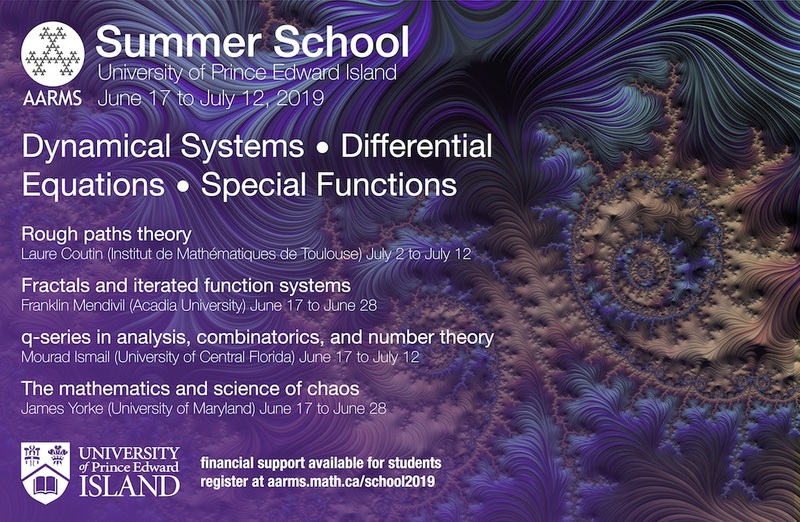 The core of the camp was the 46 unique mini-workshop sessions organizes by 64 University faculty, postdocs and students that covered virtually all of the STEM sub-disciplines. 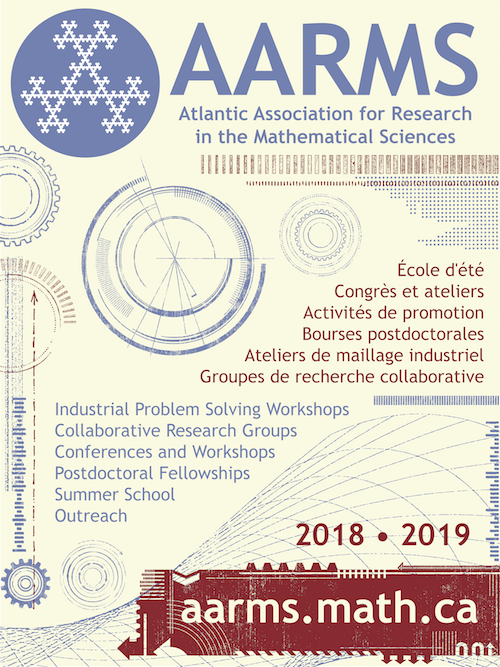 Sessions included “Amateur Radio”, “Calendar mathematics and the date of Easter”, “Coding with Drones”, “Landslides”, “Sprucebud worms”, and many more. One of the highlights of the camp was the evening panel discussion, which featured a diverse group of women working in STEM. The panelists included academics of all career stages (undergraduates to professors) as well as women working as industrial scientists in aquaculture and education. The girls provided an endless supply of questions and seemed to be truly inspired and engaged by the answers from the experts. Feedback from the event was very positive, with comments such as “this was the best Guiding event I’ve ever attended”, “[we] can’t wait to do this again”, and “the instructors were very passionate about their field of study and were able to relate it to the girls that attended the sessions; they made learning fun!”. The camp was featured in the Daily Gleaner and Telegraph-Journal newspapers, in the Journal-Pioneer, and on Rogers TV. 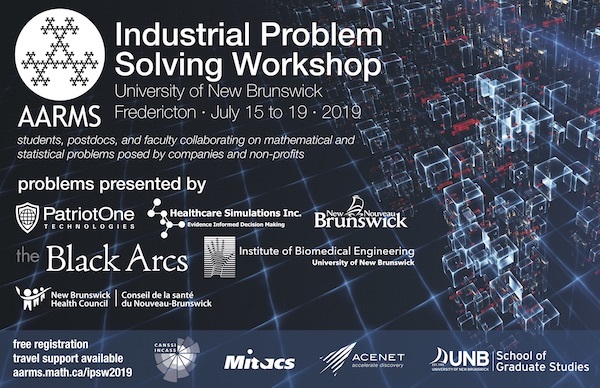 The sponsors and partners of the event included the Cyberlaunch Academy, Engineers and Geoscientists of New Brunswick, Let’s Talk Science, NSERC, the Osco Construction Group, the Quartermain Earth Science Centre, UNB, and Worlds UNBound. Next spring, the camp will move to Dalhousie University.